The Veronica Mars Kickstarter campaign which was announced this morning with a goal of $2 million has in just 4 HOURS hit $1 million. This morning the show’s creator, Rob Thomas with the aid of star Kristen Bell launched the campaign with the promise that they fully intend to bring back the cult TV favourite to the big screen. Since the show’s cancellation in 2007 after a strong 64-episode run, fans have made no bones about their desire to see the eponymous heroine return for a movie finale. With this Kickstarter marking the launch of one of the biggest film campaigns to date, the success of the Veronica Mars movie project could change the way mainstream movies are financed. Or is it now an independent? Upon reaching its goal of $2 million, Warner Bros. who own the rights to the show plan to come aboard. Back in 2007, Thomas pitched the idea of a film to the studio who at the time were not ready to commit. Learning of the power of Kickstarter through a friend, Thomas tasked himself with pie charts, graphs and all the necessary data to calculate the cash required to strike out alone and finance the film via a crowdfunding platform. The whole cast are back on board, including Bell, Enrico Colantoni, Jason Dohring and Eric Hansen, who all make a plea in the campaign’s video to encourage fans of the show to contribute. For your donations, Thomas and co. have tons of treats on offer including a PDF of the script, a DVD copy of the film upon completion, and of course walk-on parts for the more affluent fans who can drop a few thousand without battering an eyelid. As Kristen Bell so enthusiastically Tweeted moments ago: “GUYS!! @VERONICAMARSMOVIE just beat @kickstarter record! 1 million in 4 hours! You guys are amazing!” we cannot help but wonder at what point today her next Tweet announcing $2 million will land. Bravo Team Mars. You’re doing it on your own. Much like Veronica would. 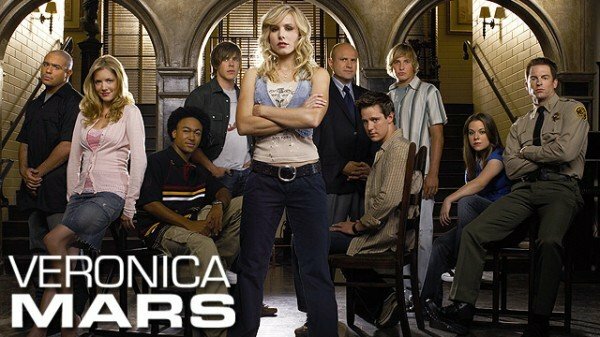 What are your thoughts on a Veronica Mars film? And what of its unique financing? Have your say in the comments below.